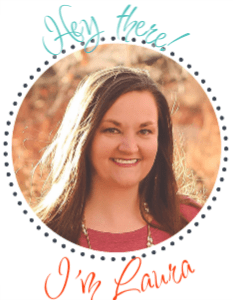 Dial Baby and Dial Kids Product #Giveaway! Dial is spoiling my readers lately, and my family too! Last week we received some great blogger mail containing the new Dial Kids Foaming Hand Wash and the Dial Baby Body + Hair Wash! They are offering my readers some too! Since there are two products to look at, lets first look at the Dial Kids Foaming Hand Wash.
We have just began exploring the potty training sector with our tiny peanut. Hand washing is her favorite part of the process and was made even more fun with this watermelon scented hand wash. 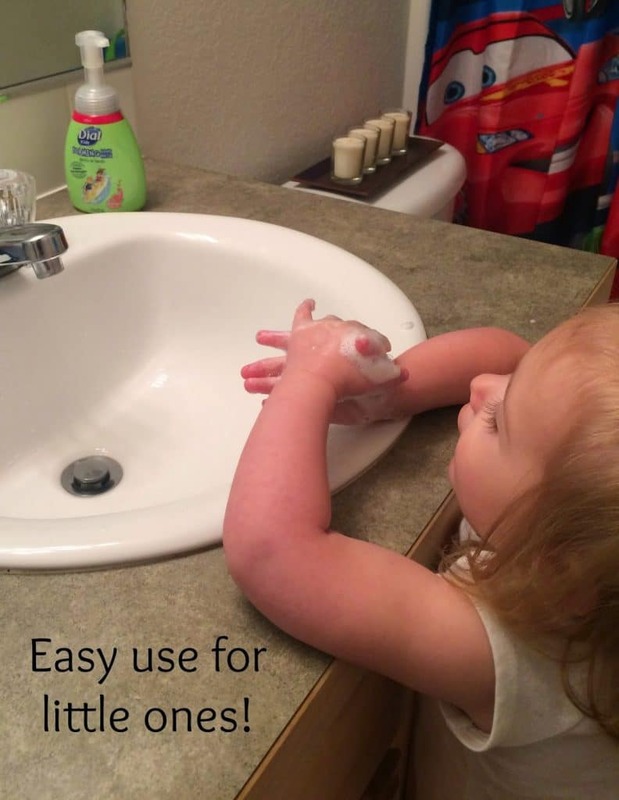 The hand wash is easy to dispense, easy for both my kids to use and helps them work on their hand washing skills. In addition, the hand wash is gentle on their skin and was developed with a pediatric dermatologist to insure that our kids skin is not being subjected to harsh, drying chemicals. My kids hands feel soft and supple and they love how easy it is to dispense. Even our littlest can push the foaming lever down to release the soap. The Dial Kids Foaming Hand Wash is an excellent choice for our family that I highly recommend. Bath time in our house is pretty much the best. The kids LOVE taking baths and showers and it gives me just a little break to take a breath and allow them to play and make a mess. 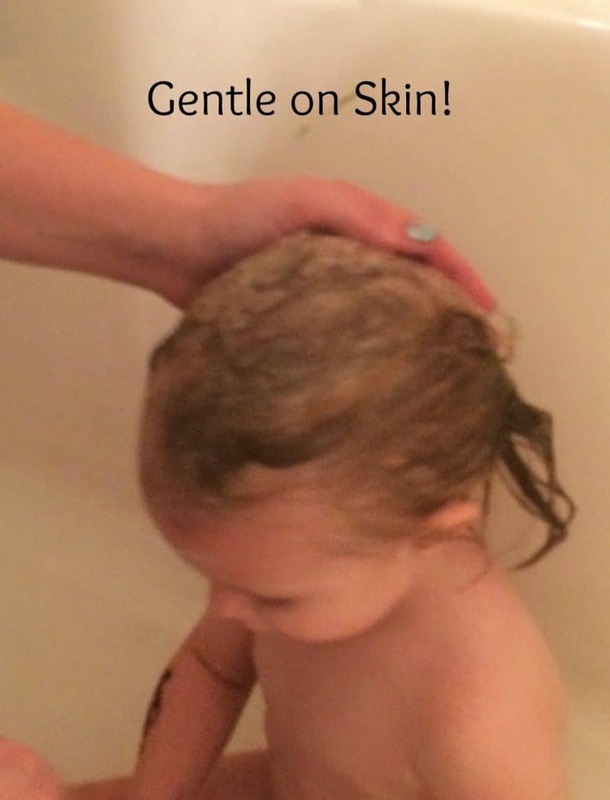 I have recently been on the search for another option that is budget friendly but also gentle on our kids skin. I think we found a winner. Dial’s Body + Hair Wash is fragrance free, tear free, hypoallergenic and contains no parabens. My little peanut has some sensitive skin and allergies that we are still working to figure out. I have noticed a drastic change in the softness of her skin with much less dry spots and redness in our week of using this soap. It is recommended for ages 0-2 but honestly I have been using it on our 5 year old and myself and it is great. Just like most Dial products it does not disappoint, it is priced well and offers a high quality product. Lucky you! Dial loves to spoil my readers and graciously sent 3 FREE coupons to be redeemed at a future shopping trip for ONE of my readers. Entering is easy, just use the form below! 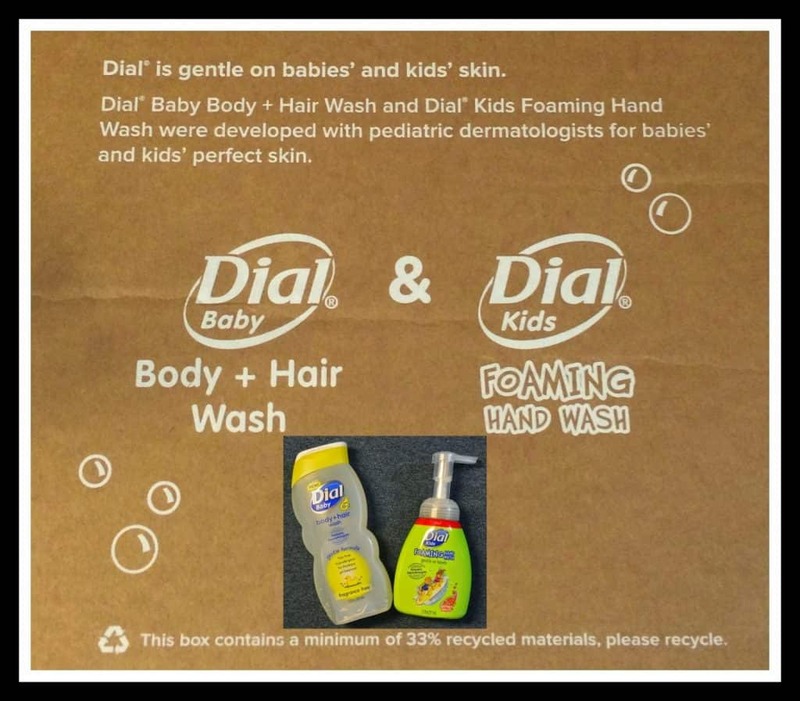 Disclosure: The Dial® brand provided me with a sample of Dial® Baby Body + Hair Wash and Dial® Kids Foaming Hand Soap in exchange for a product review. However, all the opinions expressed here are my own.